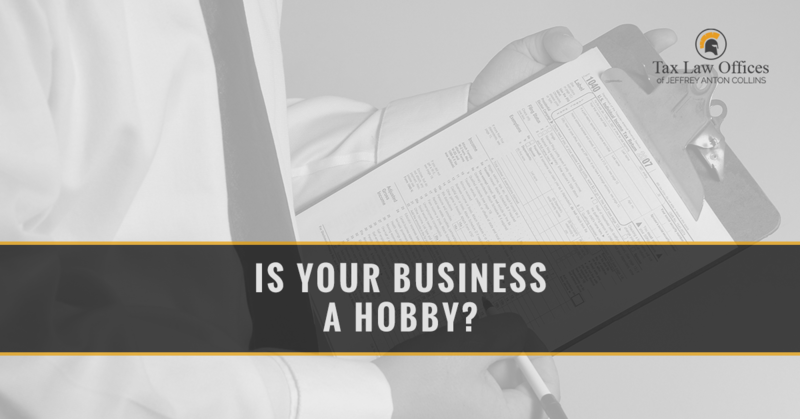 What Happens if the IRS Classifies Your Business as a Hobby? The IRS assumes that you have started your own business in order to be profitable. So if your business is claiming a net loss for years and years in a row, or your business doesn’t meet other requirements, the IRS may decide that your business is a hobby. This can get messy if you want to claim your deductions—you’ll have to prove that you had a valid profit motive. How much time and effort do you put in? Is it enough to turn a profit? Have you made a profit off of this activity in the past, or is it reasonable to expect to make a profit in the future from it? Are you adequately prepared to succeed in this field? Do you have the knowledge you need in order to succeed in this field? Does your income rely on this activity being performed and being done so profitably? In general, if you haven’t turned a profit in at least three of the most recent five years, this might be a read flag to the IRS. They will most likely determine your business to be a hobby at this point. This number may change to two years in certain industries that have a very high risk, such as horse training and breeding. The main issue with being labeled as a hobby by the IRS is you cannot take any losses. However, in certain situations, you might be able to use your hobby expenses to reduce your taxes. In other words, if you have a hobby loss expense that you could otherwise claim as a personal expense, like a home mortgage deduction, you will be able to claim those expenses in full. Other expenses like advertising, insurance premiums, wages, amortization, or depreciation may also be usable. However, keep in mind that in order for these to apply, you must have earned more total income in your “hobby” than the amount of all these deductions—including your personal ones. But in that scenario, the IRS would likely label your hobby as a business. If you really are running your hobby as a business, then it will likely trigger an IRS audit. If you business is really a business, however, we recommend keeping an accurate and extensive record of your purchases, losses, and gains to help prevent misclassification. Of course, a professional demonstration to your approach to your business is a good start, as well as receipts and other records. Presenting a written business plan is also a good way to indicate that you have an intent for profit, as well as demonstrate strategies that you are putting in place to recover from the losses. When it comes to getting the best possible outcome for your case, it’s time to contact Tax Law Offices. We know how hard of a hit it could be for your taxes if your business is labeled as a hobby. Those deductions you were planning on are suddenly lost, which can be devastating. We would be happy to provide our legal opinion for you and help you should you need our assistance against the IRS. Reach out today for a free consultation!